Home Scripture CRITICISM Are Mormons Christians? The exclusion used most often to declare Latter-day Saints non-Christian is the doctrinal exclusion. The many forms this exclusion takes can really be reduced to the same logical argument: Since the Latter-day Saints do not believe what other Christians believe, they must not be Christians. A general weakness of this type of argument is the faulty assumption that all other Christians believe "what Christians believe." By this I mean that no two denominations, and few individual Christians, agree on every detail of Christian doctrine. Most denominations don't even agree on which doctrines are central and must be affirmed by all Christians, and which ones are peripheral and open to debate. Doctrinal diversity is simply a fact of life among the various Christian churches, so how can it be fair to demand of the Latter-day Saints that they alone manifest no doctrinal diversity? And what is the standard or norm by which such "doctrinal diversity" is to be measured? Even if such a demand were fair, it would still be impossible to comply with it, for there is no single, monolithic body of doctrine accepted by all Christians with which the Latter-day Saints could agree, even if they wanted to. Though many Christians have insisted that there is such a universal standard, so far no one has been able to define it to the satisfaction of all the others. Which Is the "Christian" Doctrine? Suppose for a moment that the Latter-day Saints were to take seriously the demand that they conform in every particular to "Christian" doctrine, and that they then made the attempt to do so. Having complied with such a demand, would the Latter-day Saints find themselves in total agreement with Protestants or with Catholics? Would they believe in apostolic succession or in the priesthood of all believers? Would they recognize an archbishop, a patriarch, a pope, a monarch, or no one at all as the head of Christ's church on earth? Would they be saved by grace alone, or would they find the sacraments of the church necessary for salvation? Would they believe in free will or in predestination? Would they practice water baptism? If so, would it be by immersion, sprinkling, or some other method? Would they believe in a substitutionary, representative, or exemplary atonement? Would they or would they not believe in "original sin"? And on and on. It is unreasonable for other Christians to demand that Latter-day Saints conform to a single standard of "Christian" doctrine when they do not agree among themselves upon exactly what that standard is. To do so is to establish a double standard; doctrinal diversity is tolerated in some churches, but not in others. The often-heard claim that all true Christians share a common core of necessary Christian doctrine rests on the dubious proposition that all present differences between Christian denominations are over purely secondary or even trivial matters-matters not central to Christian faith. This view is very difficult to defend in the light of Christian history, and might be easier to accept if Protestants and Catholics- or Protestants and Protestants, for that mat-ter-had not once burned each other at the stake as non-Christian heretics over these same "trivial" differences. Is Christian Doctrine Always Biblical? Often those who apply the doctrinal exclusion confuse the terms Christian doctrine and biblical doctrine. Many Christian denominations believe and teach things for doctrine that are not found in the Bible. For example, some Protestants believe that dancing is a sin. Catholics believe in the immaculate conception of Mary. Both Protestants and Catholics believe the doctrinal pronouncements of at least some of the ecumenical councils, yet all such pronouncements are extrabiblical. The Nicene Creed insists that the Father and the Son are consubstantial (Greek homoousios), but neither the word nor the concept is biblical. Yet the Nicene Creed must certainly be considered Christian in the sense that it was written by Christians to help define their beliefs about Christ. Its doctrine is Christian in the generic sense, even though it is not actually biblical in its content. Is Christian Doctrine Always True? Those who employ the doctrinal exclusion also frequently confuse the issue of whether a doctrine is true with whether belief in that doctrine necessarily renders one a non-Christian. They confuse being Christian with being correct. Often the doctrinal excluder perceives only two categories of believers: "those who believe what I believe," and "those who are not really Christians." And yet a logical necessity of having a family of Christian denominations is that one Christian may believe things other Christians don't, and still be considered a Christian. Thus, despite the doctrinal excluder's dichotomized view of things, there must be a third category of believers-true Christians whose beliefs differ from one's own. Critics of the Latter-day Saints frequently assume that if this or that LDS belief can be proved incorrect, it proves that Latter-day Saints aren't Christians. But the two issues (being correct and being Christian) are logically separate. Many Christian denominations hold views that are believed false by other Christian denominations. For example, Catholics believe in the Assumption of the Virgin and in her role as a mediatrix in heaven, while Protestants do not. Protestants generally believe that the Bible is sufficient for salvation, while Catholics do not. Surely these issues are doctrinally significant, and just as surely either Protestants or Catholics must be mistaken about them. Yet neither side (not counting ultraconservatives) insists that the other is non-Christian merely because of its beliefs on these issues. While there is no way to prove the doctrines either true or false, they must be one or the other. And one side or the other will turn out to be wrong. Each feels very strongly that the other is wrong, but in the meantime the denominations involved have agreed to disagree, and both sides of the question are tolerated as generically Christian points of view. But if doctrinal diversity does not exclude from the Christian family those who disagree on these matters, how can it validly be applied to exclude the Latter-day Saints for disagreeing on others? If doctrinal variance is going to be tolerated in some degree between the older denominations, then in all fairness it cannot be used to selectively exclude the Latter-day Saints. On the other hand, it has been argued that the diversity tolerated among other Christian denominations is a matter of flexibility within certain broad limits, and that some LDS doctrines are so foreign to either the New Testament or traditional Christianity that they violate even these broad limits and cannot therefore be tolerated. A close examination of the individual LDS doctrines most maligned by the critics on these grounds, however, produces some surprising results. Let's start with the issue that has received the most recent attention, the charge that the Latter-day Saints are pagan "god makers." In the early fourth century Saint Athanasius-that tireless foe of heresy after whom the orthodox Athanasian Creed is named-also stated his belief in deification in terms very similar to those of Lorenzo Snow: "The Word was made flesh in order that we might be enabled to be made gods .... Just as the Lord, putting on the body, became a man, so also we men are both deified through his flesh, and henceforth inherit everlasting life. 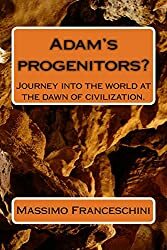 "fn On another occasion Athanasius stated, "He became man that we might be made divine"fn-yet another parallel to Lorenzo Snow's expression. Deification (Greek theosis) is for Orthodoxy the goal of every Christian. Man, according to the Bible, is 'made in the image and likeness of God'.... It is possible for man to become like God, to become deified, to become god by grace. This doctrine is based on many passages of both OT and NT (e.g. Ps. 82 (81).6; 2 Pet. 1.4 and it is essentially the teaching both of St Paul, though he tends to use the language of filial adoption (cf. Rom. 8.9-17 Gal. 4.5-7 and the Fourth Gospel (cf. 17.21-23). Whether the doctrine of deification is correct or incorrect, it was a part of mainstream Christian orthodoxy for centuries, though some modern Christians with a limited historical view may not be aware of it. If this doctrine became "the standard in Greek theology," and if "deification is the goal of every Christian," then the Latter-day Saints can't be banished from the Christian family for having the same theology and the same goal. If Saint Irenaeus, Saint Justin Martyr, Saint Clement of Alexandria, Saint Athanasius, Saint Cyril of Alexandria, Saint Maximus the Confessor, and Saint Symeon the New Theologian all believed that human beings can become gods, and if these good former-day saints are still to be counted as Christians, then the Latter-day Saints cannot be excluded from Christian circles for believing the same thing. In fact this doctrine is not pagan, nor is it foreign to the larger Christian tradition.fn Since it is found among the theologian/saints from Justin Martyr in the second century to Simeon the New Theologian in the eleventh century, Joseph Smith obviously did not make it up. Critics of the Latter-day Saints may respond that the early Christian saints, the later Greek theologians, and C. S. Lewis all understand the doctrine of deification differently than the Latter-day Saints do, but this is untrue in the case of the early Christians and C. S. Lewis. Anyway, such a response amounts to a quibble, for it retreats abjectly from the claim that deification is a pagan doctrine wholly foreign to true Christianity. It argues instead that deification is a Christian doctrine misunderstood by the Latter-day Saints (and abandoned by most others, I might add). But if that is true, then the doctrinal exclusion is no longer valid when based on this doctrine, for-whether the Latter-day Saints interpret it "correctly" or not-deification is not a doctrine they made up out of thin air or borrowed from ancient paganism, nor is it totally foreign and repugnant to true Christianity, nor does it violate the broad limits of what has historically been considered Christian. It should be noted here that the LDS doctrine of deification is often misrepresented. Despite what our critics claim, the Latter-day Saints do not believe that human beings will ever become the equals of God, or be independent of God, or that they will ever cease to be subordinate to God. For Latter-day Saints, to become gods means to overcome the world through the atonement of Christ (1 Jn. 5:4-5; Rev. 2:7, 11). Thus we become heirs of God and joint-heirs with Christ (Rom. 8:17; Gal. 4:7) and will inherit all things just as Christ inherits all things (1 Cor. 3:21-23; Revelation 21:?). There are no limitations on these scriptural declarations; we shall inherit all things-including the power to create and to beget. In that glorified state we shall look like our Savior (1 Jn. 3:2; 1 Cor. 15:49; 2 Cor. 3:18) we shall receive his glory and be one with him and with the Father (John 17:21-23; Philip. 3:21). Sitting with God upon the throne of God, we shall rule over all things (Luke 12:44; Rev. 3:21 ). Now, if the Christian scriptures teach that we will look like God, receive the inheritance of God, receive the glory of God, be one with God, sit upon the throne of God, and exercise the power and rule of God, then surely it cannot be un-Christian to conclude with C. S. Lewis and others that such beings as these can be called gods, as long as we remember that this use of the term gods does not in any way reduce or limit the sovereignty of God our Father. That is how the early Christians used the term; it is how C. S. Lewis used the term; and it is how the Latter-day Saints use the term and understand the doctrine. Actually the real objection in modern Christian churches to the doctrine of deification is often that it implies the existence of more than one God. If human beings can become gods and yet remain distinct beings separate from God, it makes for a universe with many gods. Surely C. S. Lewis realized this implication; so did the early Christian saints. Yet like the Latter-day Saints they did not understand this implication to constitute genuine polytheism. For both the doctrine of deification and the implied doctrine of plurality of gods, an understanding of the definitions involved is essential. So let's be clear on what Latter-day Saints do not believe. They do not believe that humans will ever be equal to or independent of God. His status in relation to us is not in any way compromised. There is only one source of light, knowledge, and power in the universe. If through the gospel of Jesus Christ and the grace of God we receive the fulness of God (Eph. 3:19) so that we also can be called gods, humans will never become "ultimate" beings in the abstract, philosophical sense. That is, even as they sit on thrones exercising the powers of gods, those who have become gods by grace remain eternally subordinate to the source of that grace; they are extensions of their Father's power and agents of his will. They will continue to worship and serve the Father, the Son, and the Holy Ghost forever, and will worship and serve no one and nothing else. If the Latter-day Saints had chosen to refer to such glorified beings as "angels" instead of "gods," it is unlikely anyone outside the LDS church would have objected to the doctrine per se. It seems that it is only the term that is objectionable. And yet the scriptures themselves often use the word god in this limited sense to refer to nonultimate beings. For example, in Ps. 8 the word gods (Hebrew elohim) is used in reference to the angels: "What is man, that thou art mindful of him? and the son of man, that thou visitest him? For thou hast made him a little lower than the angels [elohim], and hast crowned him with glory and honour." (Vv. 4-5.) Though the Hebrew reads "gods" (elohim), translators and commentators from the Septuagint on, including the author of Hebrews in the New Testament, have understood the expression to refer to the angels (see Heb. 2:7). The term gods is here applied to beings other than God. Deuteronomy 10: 17, Josh. 22:22, and Ps. 136:2 all insist that God is a "God of gods." Clearly this doesn't mean that there are divine competitors out in the cosmos somewhere; rather, these passages probably also refer to the angels in their divinely appointed roles. If the angels can, in some sense, be considered divine beings because they exercise the powers of God and act as his agents, then the one God they serve is correctly considered a "God of gods." Scholars have long known, and the Dead Sea Scrolls and other literature of the period have now proven, that the Jews in Jesus' day commonly referred to the angels as "gods" (Hebrew elim or elohim) in this nonultimate sense.fn This is not because the Jews were polytheists, but because they used the term god in a limited sense to refer to other beings associated with God whom he allowed the privilege of exercising divine powers. But human beings are also called "gods" in scripture, probably for the same reasons that the angels are-they, as well as the angels, can exercise the powers of God and act as his agents. Thus Moses is designated a "god to Pharaoh" (Ex. 7:1). This doesn't mean that Moses had become an exalted or ultimate being, but only that he had been given divine powers and was authorized to represent God to Pharaoh, even to the point of speaking God's word in the first person. 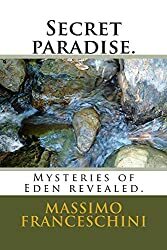 If the scriptures can refer to a mortal human being like Moses as a "god" in this sense, then surely immortal human beings who inherit the fulness of God's powers and authority in the resurrection can be understood to be "gods" in the same sense. And that, in a nutshell, is the LDS view. Whether in this life or the next, through Christ human beings can be given the powers of God and the authority of God. Those who receive this great inheritance can properly be called gods. They are not gods in the Greek philosophic sense of "ultimate beings," nor do they compete with God, the source of their inheritance, as objects of worship. They remain eternally his begotten sons and daughters -therefore, never equal to him nor independent of him. Orthodox theologians may argue that Latter-day Saints shouldn't use the term gods for nonultimate beings, but this is because the Latter-day Saints' .use of the term violates Platonic rather than biblical definitions. Both in the scriptures and in earliest Christianity those who received the word of God were called gods. I don't need to repeat here the views of Christian saints and theologians cited above on the doctrine of deification. But it should be noted that for them, as for the Latter-day Saints, the doctrine of deification implied a plurality of "gods" but not a plurality of Gods. That is, it did not imply polytheism. Saint Clement of Alexandria was surely both a monotheist and a Christian, and yet he believed that those who are perfected through the gospel of Christ "are called by the appellation of gods, being destined to sit on thrones with the other gods that have been first installed in their places by the Savior. "fn This is good LDS doctrine. If Clement, the Christian saint and theologian, could teach that human beings will be called gods and will sit on thrones with others who have been made gods by Jesus Christ, how in all fairness can Joseph Smith be declared a polytheist and a non-Christian for teaching the same thing? In harmony with widely recognized scriptural and historical precedents, Latter-day Saints use the term gods to describe those who will, through the grace of God and the gospel of Jesus Christ, receive of God's fulness - of his divine powers and pre-rogatives-in the resurrection. Thus, for Latter-day Saints the question "Is there more than one god?" is not the same as "Is there more than one source of power or object of worship in the universe?" For Latter-day Saints, as for Saint Clement, the answer to the former is yes, but the answer to the latter is no. For Latter-day Saints the term god is a title which can be extended to those who receive the power and authority of God as promised to the faithful in the scriptures; but such an extension of that title does not challenge, limit, or infringe upon the ultimate and absolute position and authority of the Father, the Son, and the Holy Ghost. When anti-Mormon critics interpret Exodus ? : 1, Deut. 10:1 ?, Ps. 8:5 (in Hebrew), Ps. 45:6, Ps. 82:6, or John 10:34-36, they go to great lengths to clarify that these scriptures use the term god in a limited sense and that therefore they do not involve any polytheism-there may be more than one "god," but there is only one God. When they discuss Latter-day Saint writings that use the term god in the same sense, however, the critics seldom offer the same courtesy. Instead they disallow any limited sense in which the term gods can be used when that term occurs in LDS sources, thereby distorting and misinterpreting our doctrine, and then accuse us of being "polytheists" for speaking of "gods" in a sense for which there are valid scriptural and historical precedents. Other Christian saints, theologians, and writers-both ancient and modern-have believed human beings can become "gods" but have not been accused of polytheism, because the "gods" in this sense were viewed as remaining forever subordinate to the Father, the Son, and the Holy Ghost. Since this is also the doctrine of the Latter-day Saints, they also ought to enjoy the same defense against the charge of polytheism. Since these other Christians and the Latter-day Saints share the same doctrine, they should share the same fate; either make polytheist heretics of the saints, theologians, and writers in question, or allow the Latter-day Saints to be considered worshippers of the one true God. 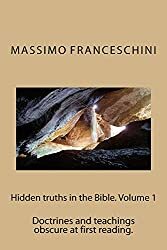 The doctrinal exclusion is invalid often on general principles because it demands doctrinal conformity to a standard that does not really exist, to a "pure" Christianity which cannot be agreed upon by all Christians. Therefore it is a moving target which changes from denomination to denomination; all parties demand that Latter-day Saints be more "orthodox," but each defines "orthodoxy" differently. The doctrinal exclusion assumes that Christianity is one monolithic point of view when in fact the multiplicity of Christian denominations witnesses that it is not. Those who employ the doctrinal exclusion often recog- nize only two categories: those whose doctrine agrees with their own and those who are "not Christians." But without a third category-that is, Christians whose doctrine is different than one's own but who are still Christians-the very idea of a family of independent Christian denominations is impossible. Still, the claim is made that certain LDS doctrines are so bizarre, so totally foreign to biblical or historical Christianity, that they simply cannot be tolerated. In terms of the LDS doctrines most often criticized on these grounds, however-the doctrine of deification and its corollary, the plurality of gods-this claim does not hold up to historical scrutiny. Early Christian saints and theologians, later Greek Orthodoxy, modern Protestant evangelists, and even C. S. Lewis have all professed their belief in a doctrine of deification. The scriptures themselves talk of many "gods" and use the term god in a limited sense for beings other than the Father, the Son, or the Holy Ghost. If this language is to be tolerated in scripture and in ancient and modern orthodox Christians without cries of "polytheism!" then it must be similarly tolerated in the Latter-day Saints. If scripture can use the term gods for nonultimate beings, if the early Church could, if Christ himself could, then Latter-day Saints cannot conceivably be accused of being outside the Christian tradition for using the same term in the same way. Again, I am not arguing that the doctrine is true, although I certainly believe it is. I am only arguing that other Christians of unimpeachable orthodoxy have believed in deification long before the Latter-day Saints came along, and that it has been accepted and tolerated in them as part of their genuine Christianity. Fair play demands the same treatment for the Latter-day Saints. President Snow often referred to this couplet as having been revealed to him by inspiration during the Nauvoo period of the Church. See, for example, Deseret Weekly 49 (3 November 1894): 610; Deseret Weekly 57 (8 October 1898): 513; Deseret News 52 (15 June 1901): 177; and Journal History of the Church, 20 July 1901, p. 4. Irenaeus, Against Heresies, bk. 5, pref. Irenaeus, Against Heresies, 4.38. Cp. 4.11 (2): "But man receives progression and increase towards God. For as God is always the same, so also man, when found in God, shall always progress towards God." Clement of Alexandria, Exhortation to the Greeks, 1. Clement of Alexandria, The Instructor, 3.1. See also Clement, Stro-mateis, 23. Justin Martyr, Dialogue with Trypho, 124. Athanasius, Against the Arians, 1.39, 3.34. Augustine, On the Psalms, 50.2. Augustine insists that such individuals are gods by grace rather than by nature, but they are gods nevertheless. Richard P. McBrien, Catholicism, 2 vols. (Minneapolis: Winston Press, 1980), 1:146, 156; emphasis in original. Symeon Lash, "Deification," in The Westminster Dictionary of Christian Theology, ed. Alan Richardson and John Bowden (Philadelphia: Westminster Press, 1985), pp. 147-48. For a longer treatment of this subject, see Jules Gross, La divinisa-tion du chrétien d'aprè les pères grecs (Paris: J. Gabalda, 1938). Paul Crouch, "Praise the Lord," Trinity Broadcasting Network, 7 July 1986. Robert Tilton, God's Laws of Success (Dallas: Word of Faith, 1983), pp. 170-71. Kenneth Copeland, The Force of Love (Fort Worth: Kenneth Copeland, n.d.), tape BCC-56. Kenneth Copeland, The Power of the Tongue (Fort Worth: Kenneth Copeland, n.d.), p. 6. I am not arguing that these evangelists are mainline evangelicals (though they would insist that they are), only that they are Protestants with large Christian followings. C. S. Lewis, The Weight of Glory and Other Addresses, rev. ed. (New York: Macmillan, Collier Books, 1980), p. 18. C.S. Lewis, Mere Christianity (New York: Macmillan, 1952; Collier Books, 1960), p. 153. Cp. p. 164, where Lewis describes Christ as "finally, if all goes well, turning you permanently into a different sort of thing; into a new little Christ, a being which, in its own small way, has the same kind of life as God; which shares in His power, joy, knowledge and eternity." See also C. S. Lewis, The Screwtape Letters, rev. ed. (New York: Macmillan, 1982), p. 38, where the tempter Screwtape complains that God intends to fill heaven with "little replicas of Himself." Lewis, Mere Christianity, p. 154. Lewis, Mere Christianity, pp. 174-75. For a more recent example of the doctrine of deification in modern, non-LDS Christianity, see M. Scott Peck, The Road Less Traveled (New York: Simon and Schuster, 1978) pp. 269-70: "For no matter how much we may like to pussyfoot around it, all of us who postulate a loving God and really think about it even- tually come to a single terrifying idea: God wants us to become Himself (or Herself or Itself). We are growing toward godhood." Most critics are surprised to know how highly the thinking of C. S. Lewis is respected by Latter-day Saint readers. See, for example, John Strugnell, The Angelic Liturgy at Qumran -4 Q Serek Sirot 'Olat Hassabat in Supplements to Vetus Testamenturn VII [Congress Volume, Oxford 1959], (Leiden: Brill, 1960), pp. 336-38, or A. S. van der Woude, "Melchisedek als himmlische Erlösergestalt in den neuge-fundenen eschatologischen Midraschim aus Qumran Höhle XI," Oudtestamentische Studiën 14 ( 1965): 354-73. James S. Ackerman, "The Rabbinic Interpretation of Ps. 82 and the Gospel of John," Harvard Theological Review 59 (April 1966): 186. J. A. Emerton, "The Interpretation of Ps. 82 in John 10," Journal of Theological Studies 11 (April 1960): 329, 332. This was also the view of Saint Augustine in writing of this passage in On the Psalms, 50.2: "It is evident, then, that he has called men 'gods,' who are deified by his grace" (cf. also 97.12). Clement of Alexandria, Stromateis, 7.10.